As we get the new site up and running, please call us at 1-800-635-6448 for all orders. Maintenance Free! 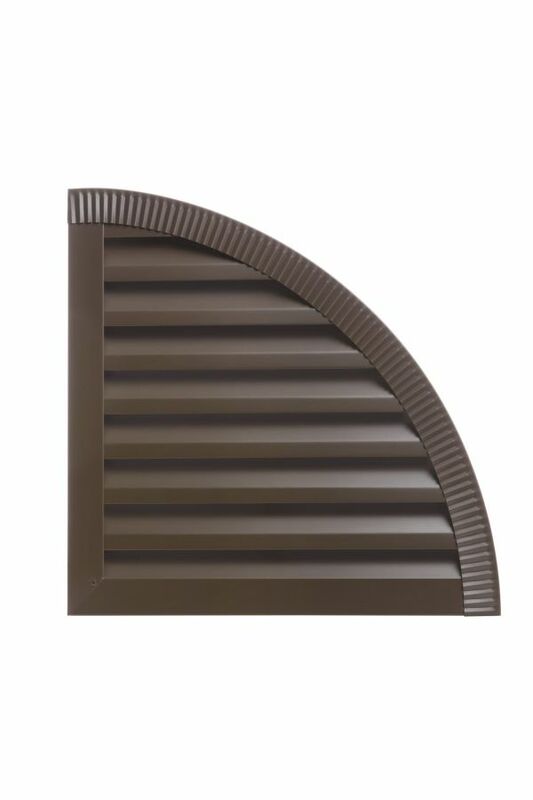 Our Custom Louvers are made with a wood frame and clad with Aluminum so you never have to paint! - They arrive ready to install into any application (see our mounting options) STANDARD MATERIALS & FINISHES FOR .032 ALUMINUM LOUVERS: .032 Aluminum with a Kynar finish **PLEASE NOTE: Charcoal Gray, Brandy Wine, Sierra Tan, Hemlock Green, Stone White, Terra Cotta, Dark Ivy, Regal Red, Clear Anodized, Royal Blue, Colonial Red, Silver Metallic, Almond, Extra Dark Bronze, Teal, Cityscape, Patina Green, Electric Blue, Champagne, Sherwood Green, Copper Tone, Tropical Patina, Hartford Green, Slate Gray & Sky Blue are all SPECIAL ORDER colors, allow additional time (2-3 weeks). ** 9x9 Fiber Glass Screen-charcoal colored 1" Depth *PLEASE NOTE* IF YOU HAVE AN EXACT OPENING WHERE YOU ARE INSTALLING A LOUVER THAT HAS A RADIUS, YOU MAY BE ASKED TO PROVIDE A PATTERN, UNLESS ALL SPECIFIC DIMENSIONS HAVE BEEN PROVIDED. CALL WITH ANY QUESTIONS! Due to shipping rules, if your Custom Louver is over 10 feet, we may have to make it in 2 halves with a center mullion. Should this be the case with your Custom Louver order, we will contact you after order is placed to discuss. OTHER MATERIAL OPTIONS: *.027 Aluminum with a baked enamel finish (variety of colors available) *.040 Aluminum with a Kynar finish (variety of colors available) *26 gauge painted Steel (variety of colors available) *Galvalume 29 gauge Steel *G-90 Galvanized 29 gauge Steel OTHER SCREEN OPTIONS: *18x16 Aluminum screen-charcoal colored *Galvanized, Copper, and Stainless screens are also available! OTHER DEPTH OPTIONS: *1 1/2", 1 3/4", 2", 3", or 4" also available *Additional charges and time may apply, call 800-635-6448 to place your order. Copyright © 2013-present New Concept Louvers, Inc. All rights reserved.